William Sanger, painter and architect, was born 12 November 1873 in Berlin, Germany. He was educated at Cooper Union in architecture from 1893-5 and later studied architecture at Atelier Masquery and painting at the Society Beaux Arts, at the Art Students League and at the Artists and Artisans Institute. He studied pictorial composition with Hugo Ballin, Edward Simons and Robert Blum. He also studied at the Atelier Chambron in Paris and in Italy. 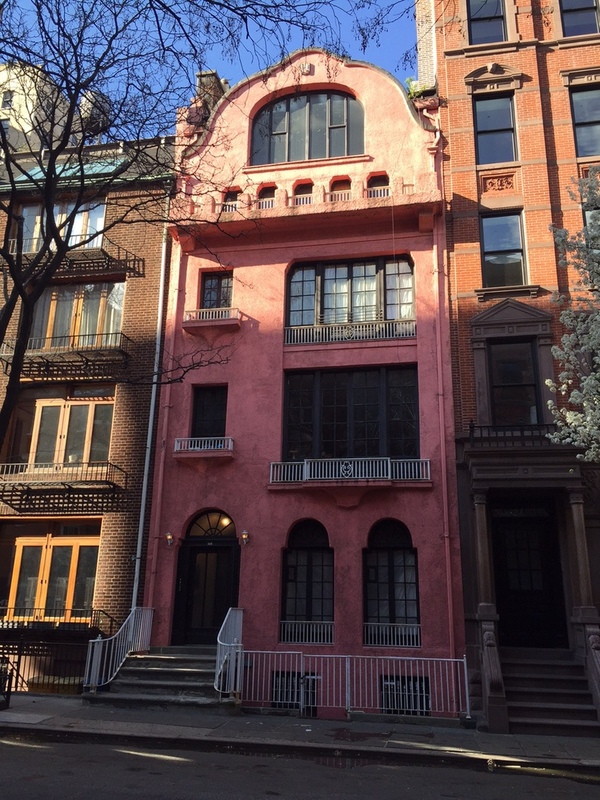 According to available sources, in the 1910s, William was a contract draftsman for McKim, Mead and White, New York’s preeminent architectural firm. 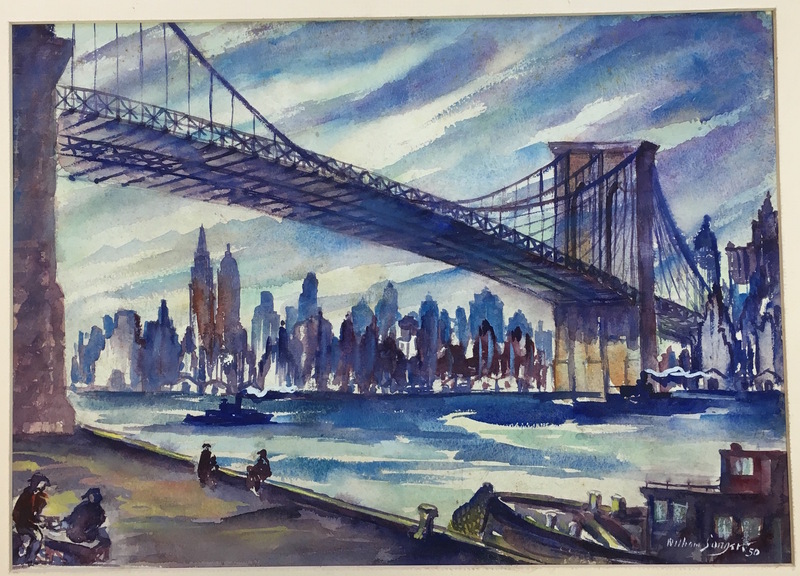 William attended the Armory Show in February 1913 and decided that he wanted to move to Paris to paint. The couple arrived in Paris in October, 1913; William stayed for a year. In 1915, he was arrested for handing out one of his wife’s birth control pamphlets and spent 30 days in the Tombs Prison. In May 1917 with a world war raging, William journeyed to Spain to see El Greco’s paintings first hand. He traveled around northwestern Spain and painted watercolors of the Gates of Glory at the Cathedral of Santiago de Compostela. He returned to New York in April 1918. He had a one-man show of his Spanish paintings at the Touchstone Gallery in New York in 1919 and had other one-man and group shows in the 1920’samd 1930’s. 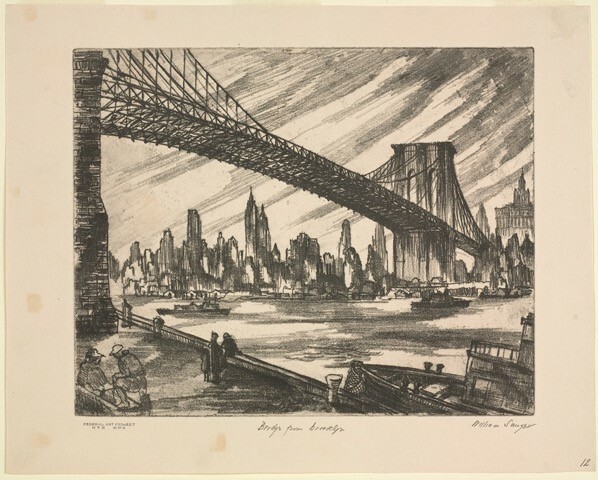 He became a WPA artist in 1935. He traveled to Maine in the 1920s, 30s and 40s to paint, venturing as far Down East as Eastport and Grand Manan Island. Albert Pinkham Ryder and El Greco were the major influences on his work. In his later years he worked as an architect for the US Navy and for the City of New York Water Department. At his death in 1961, he was working on copper etchings for an illustrated biography of Thomas Paine.